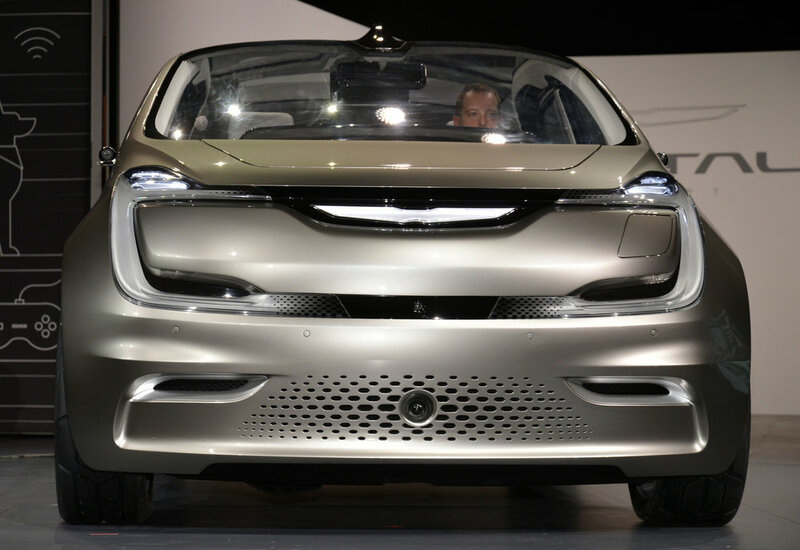 Chrysler has unveiled a technology-laden Portal concept at the 2017 Consumer Electronics Show (CES) in Las Vegas. 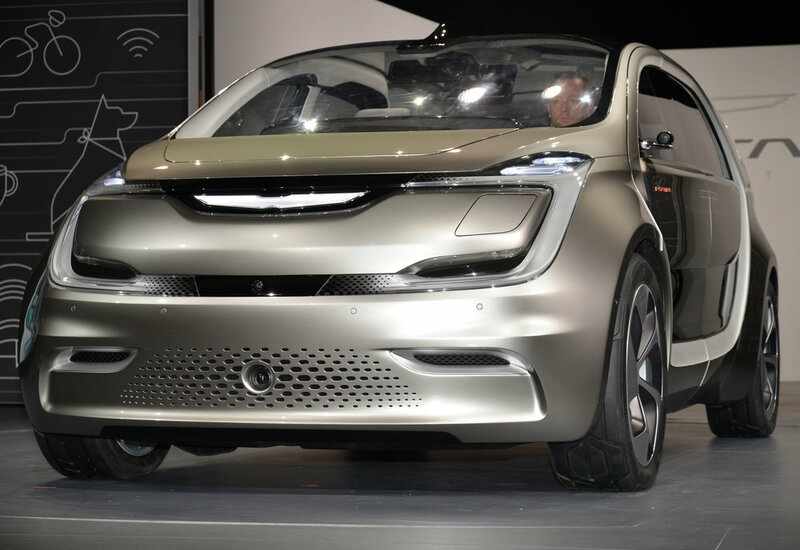 Described as a car ‘created by millennials for millennials’ Chrysler looked in-house for inspiration when designing a vehicle 'aimed at the future of family transportation'. Calling upon the people who will own and live with such a vehicle, millennials working inside the company’s design and engineering departments were asked to collaborate on ideas. Armed with research on what the millennial generation values and desires, the team created a forward-thinking interpretation of the “fifth generation” of family transportation. Millennials are described by Chrysler as ‘tech savvy, environmentally aware and cost conscious’. With this in mind, the concept is designed to maximise interior space with flexibility between seating and cargo configurations; to ‘enable users to include and expand their social media communities’. The concept also utilises wireless integration between the vehicle and mobile devices take advantage of technologic advances in battery-electric powertrains and the growth of a rapid recharging network, and to deliver these capabilities in a powerful, high-tech form that uses LED lighting as a key design element. Technology is evident throughout the cabin, with a clean, simple high-mount instrument panel display with easy-to-use interfaces. Screens can be positioned throughout the interior for ultimate passenger engagement and up to eight docking stations, located in the instrument panel and seats, can be used for charging and securing mobile phones and tablet devices. key technology features include: Facial recognition and voice biometrics that recognise the user and are able to customise individual or family settings; Vehicle-to-X (V2X) communication which enables the vehicle and infrastructure to "talk" to each other, such as junction crash warning, traffic sign recognition and emergency vehicle approaching; Personal Zoned Audio keeps the driver aware of surroundings by enhancing sound and directionality in the event of approaching emergency vehicles; Seamless integration of personal devices, such as phones, tablets, cameras and wearables and Community sharing that enables passengers to share music, images, videos and more with other passengers. Styling wise, the concept features illuminated, ‘portal-shaped’ side openings with articulating front and rear doors for easy loading and unloading of people and cargo. The vehicle is equipped with full-colour, changing LED lighting on the front, side portals and rear. Not only can the light take on different colours, it can have a swiping or animated appearance. Interactive ground projection and portal lighting are available in infinite colours that can be tailored for personal, business or drive settings, such as when the vehicle is parked, locked/unlocked or in autonomous mode. The headlamps and tail lamps feature ‘Thin Lens’ LED technology with an adaptive driving beam to provide increased safety through improved visibility. A full-length clear polycarbonate roof panel visually expands the vehicle’s interior space and admits natural light to all occupants. The all-electric vehicle is propelled by a single electric motor driving the front wheels. A lithium-ion battery pack, rated at around 100 kWh, is integrated into the vehicle underbody, and offers an estimated range of more than 250 miles on a full charge. 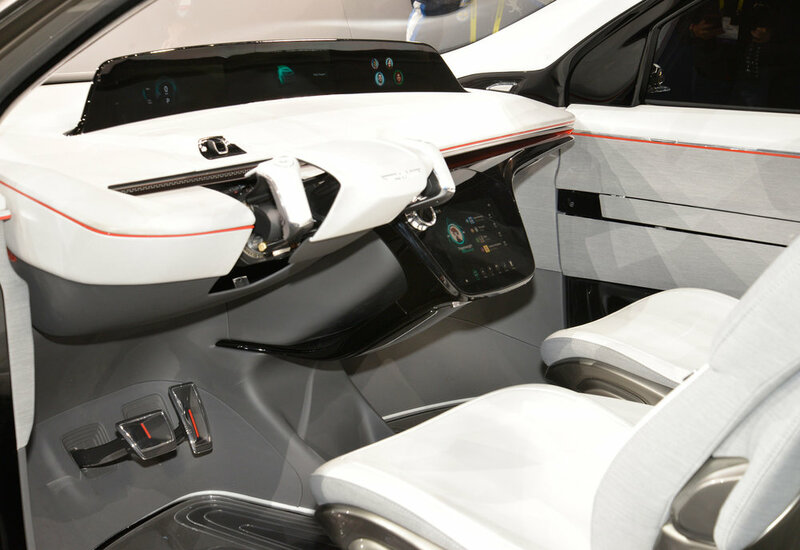 The integrated charging port, located at the front of the vehicle, uses DC Fast Charging at 350 kW, enabling the battery pack to be recharged for 150 miles of range in less than 20 minutes. The Chrysler winged badge on the front fascia serves as a charging indicator light. Capable of semi-autonomous operation, the driver has the option to turn driving control over to the vehicle under certain motorway driving situations, and can be upgraded to higher levels of autonomy as technology progresses, and if the owner is interested in adding it to their vehicle. Further sensor technologies (LIDAR/radar/sonar/vision) constantly monitor conditions outside and inside the vehicle. The Consumer Electronics Show runs from 5-8 January.